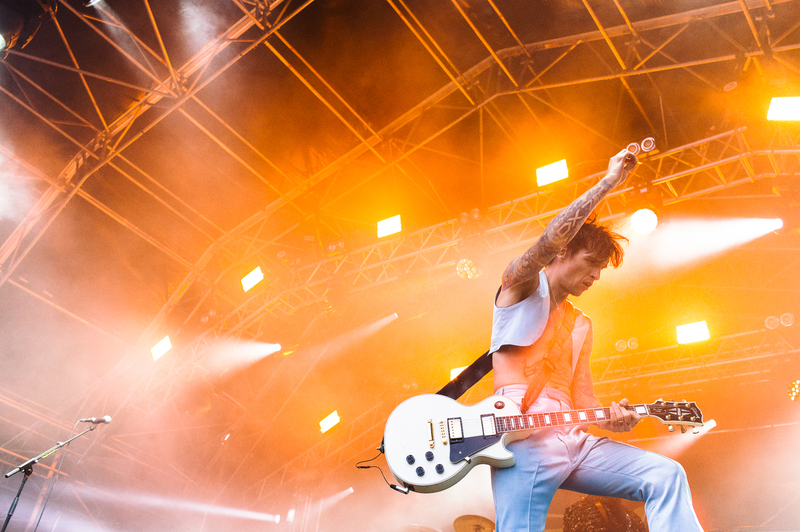 Lakefest which takes place from Thursday 9th - Sunday 12th August at Eastnor Castle have announced the line up for this year's festival including headliners: The Darkness, The Waterboys with Miss Moneypenny’s Orchestra closing the festival on Sunday night. Other artists taking to the Main Stage include Reverend and the Makers, Dub Pistols, Pop Will Eat Itself, Toploader, Marc Almond, Melanie C, and The Proclaimers. The 'Weston’s Cider Floating Globe’ will house its usual diverse array of talent, featuring names such as: The Wurzels, Doctor and the Medics, Baka Beyond, The No Good Future Nancy Set, Emily Faye, Trevor Steger, and Gaz Brookfield. This year’s dance tent, now re-named ‘Eivissa’ will play host to sets over the four days, including Danny Rampling. This year will see the BBC Introducing stage, converting to the After Hours stage in the evening. 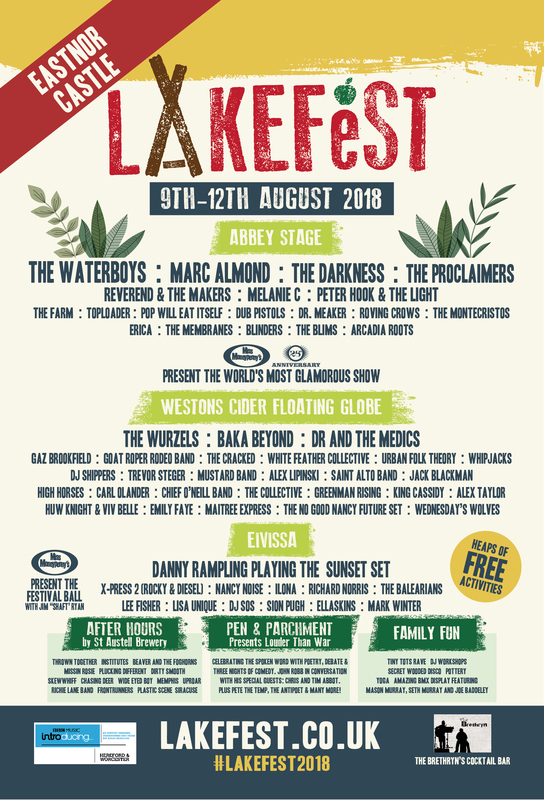 Lakefest is a family festival - but not just in the sense that all generations will find something to delight them in the Herefordshire hills. Everyone involved, from the organisers, stewards, artists, and not least the marvellous audience, are part of the family. The festival provides a host of activities to keep the kids happy, plus BMX display teams. The festival attracts some of UK's finest 'indie' bands, folk artists, plus a stage dedicated to local emerging talent. The theme for Lakefest 2018 is Pirates, more information coming soon. “We like to think we’ve curated the stages to ensure that there’s something for everyone in the mix, and can’t wait to see all the plans come together in the Deer Park. We love what we do, it’s all about a positive family experience and pushing ourselves to deliver a greater spectacle each year"
Tickets and glamping options are available from the Lakefest website.